While companies understand the importance of cooling systems, they also need to consider cost. One simple solution is conduction an infrastructure modeling and find where hotspots and hanging curtains in those areas, using less space as more information is being stored in the cloud, and liquid cooling where systems are completely submerged. 4 Extreme approaches include liquid cooling, where entire hardware systems are submerged in either oil or water, and erecting data centers near the most frigid environments, such as the Arctic Circle. Technology represents a certain percentage of growth within the HVAC profession providing a potential area of opportunity for those with commercial HVAC training. The Bureau of Labor Statistics reports that professional, science, and technical services account for 1.8 percent of employment of heating, air conditioning, and refrigeration mechanics and installers (49-9021). While this number is relatively small, there is room for growth as more data centers are constructed that can provide more efficient methods of cooling. The future is bright for HVAC as a whole. In the tech fields, an increased need for efficient data centers is creating new career opportunities for trained technicians. 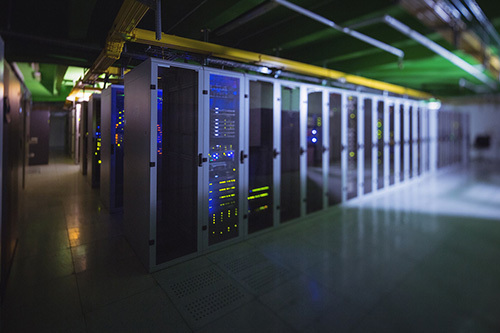 From portable backup options to new cooling methods, innovation continues to revolutionize HVAC in data center operations. Individuals willing to seek the HVAC education necessary for success in the tech environment could enjoy challenging and deeply rewarding HVAC careers.